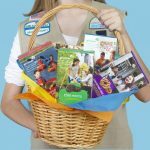 According to a letter of warning sent out recently the Orange County, Calif., branch of the Girl Scouts experienced a data breach. The letter was written by Christina Salcido, who is vice president of mission operations and it was sent out on October 22. The data breach, which is estimated to affect almost 3,000 members, occurred over the course of one day toward the end of September. An unknown third-party attacker was able to gain access to the email [email protected], which then allowed them to send numerous emails to various strategic locations. The email account, according to the letter, had access to records that are thought to reach back as far as 2014 and as recently as the beginning of October 2018. The data contained within these records include full legal birth names, home addresses, driver’s license numbers, health history, and even insurance policy numbers. While the breach was only active over the course of a day, the thousands of individuals exposed to potential identity theft makes this a serious event. Compounding the issue is that this affects a large number of minors who are far more vulnerable from the get-go in terms of what society can do to damage them. In the aftermath of the breach, the Girl Scouts of Orange County notified the attorney general in California of the incident. The letter also stated that the Girl Scouts went through their emails and deleted any that contained personal data. Finally, Christina Salcido stated that the Girl Scouts are beefing up their security by “implementing a secure online system for Troop Travel forms,” as well as other undisclosed security hardening efforts being developed with their IT team. As a final word of warning, Salcido recommended that all who may have been affected (those that are contacted directly by the Girl Scouts of Orange County) should monitor their financial information and credit score. Additionally, it is recommended that fraud alerts be implemented via contacting credit agencies to ensure the accounts.